If you love the colors of fall, you’ll love Colorado in the autumn. In just a few weeks, fall will arrive in the high country and we’ll be treated to reds, yellows, and oranges of fall. One of the most spectacular treats are the acres of Aspen that change from green to bright gold, turning the mountains into a bright yellow treat. Seeing the Aspen in their autumn glory is a great outing for a solo adventure, a romantic date for two, or even an outing for the entire family to enjoy together. 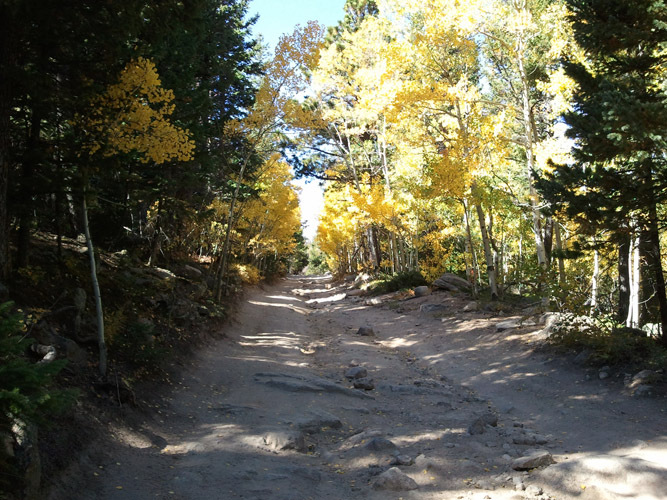 Our ATV rental in Colorado is a great way to see the fall colors! When you hop on our ATVs, you’ll be able to get off of the beaten path and see the fall colors like you’ve never seen them before. We deliver your ATV to the trailhead, and our friendly, professional ATV rental team can give you advice on the best places to view the fall colors. One of the most popular ATV trails, Bunce School Road, offers some incredible views over the Estes Park valley and along the Peak-to-Peak highway. You’ll have plenty of opportunities to both enjoy the beauty of the Aspen and the fun of riding your ATV rental over some great trails. Whether you need an ATV for yourself, for two of you, or for an entire group, Estes Park ATV rentals has the vehicles, gear, and advice that you need for the perfect fall foliage viewing. Click the contact button below to get in touch with us and schedule your fall ride today!